My boys are currently obsessed with superheroes- Marvel Avengers, Batman, comic books, anything will do! 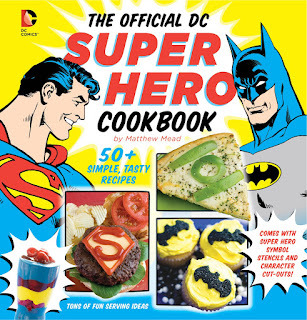 We decided to have a family fun night based on superheroes, thanks to the help of The Official Super Hero Cookbook. If you have boys in your house, you need this book! As well as everyday items, it has great ideas for birthday themes and jazzing up lunchboxes, and it even comes with stencils. We looked through the cookbook and chose what we would like to eat, then I helped the boys write out the menu and a list of ingredients and supplies we would need. Our main course was Holy Guacamole with Krypto Dogs, Wonder Woman Crudites and Superman Sauce. We also had Joker Juice as our drink. Dessert was Plastic Man Pudding- this was absolutely delicious! 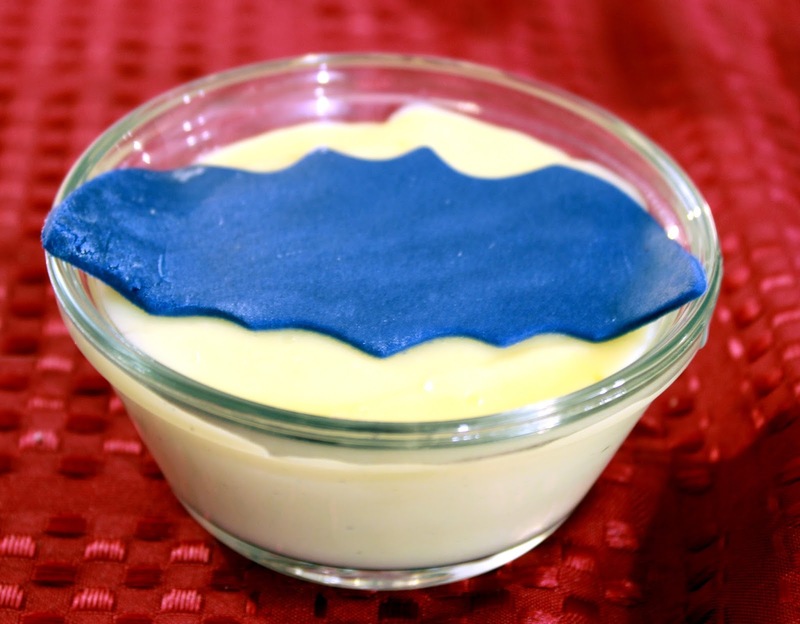 I did change it to Batman Pudding and used a Bat cookie cutter to place some blue fondant on top, and we only needed small amounts of this sweet treat. 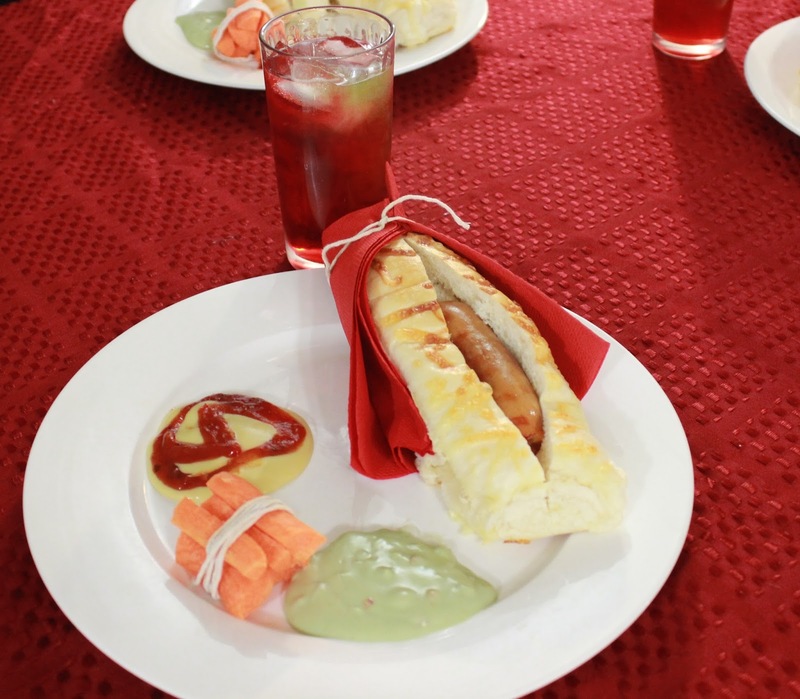 The boys both really enjoyed planning, cooking and eating our special superhero themed family fun dinner. You are such a super mom! 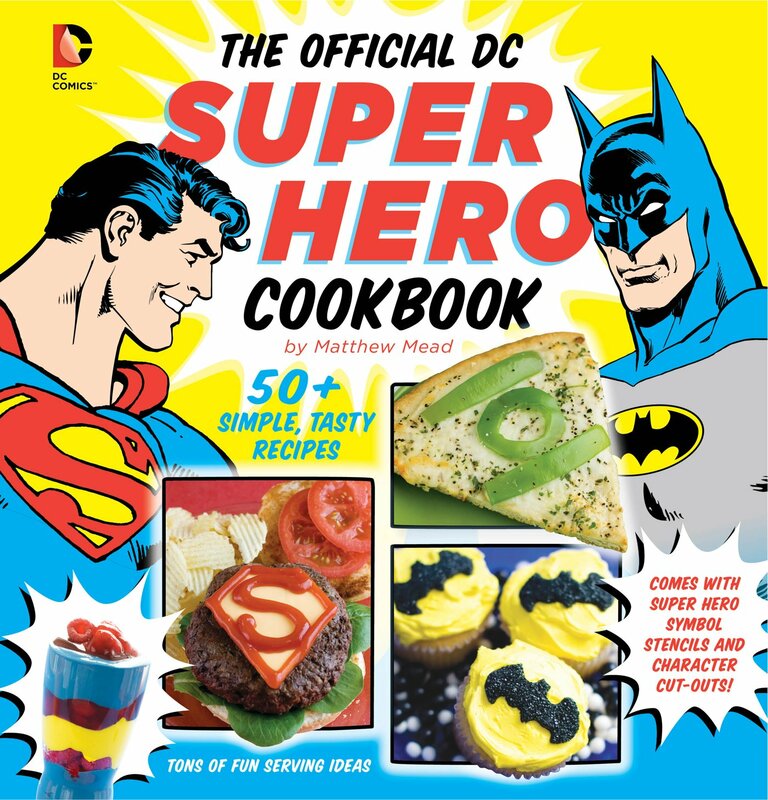 What great ideas and what a neat cookbook. The pudding looks great! Iv never even heard of this book and that hotdog might be the cutest thing ever! What a wonderful idea and so clever. Thank you for sharing and off to discover the cook book.